This story is a reprint of an article produced by The Atlantic. The Atlantic significantly revised the article post-publication to correct for factual errors in the original version. What follows is the revised version of the story. Since it went through an aggressive, system-wide overhaul that began in 2000, the City University of New York’s top five colleges—Baruch, Hunter, Brooklyn, Queens, and City—have been raising admission standards and enrolling fewer freshmen from New York City high schools. Among the results has been the emergence of a progressively starker two-tier system: CUNY’s most prestigious colleges now increasingly favor Asian and white freshmen, while the system’s black and Latino students end up more and more in its overcrowded two-year community colleges. CUNY officials insist that the school is as committed as ever to its “deeply rooted tradition” of serving New York’s diverse needs. “CUNY provides educational opportunity to New Yorkers as a system, not as a group of colleges,” says Julia Wrigley, the interim vice chancellor and provost. She argues that the majority of graduates in the selective colleges don’t enter as freshman but as transfer students from other colleges who enter as sophomores, juniors, or seniors. “Transfer provides an important means of access,” Wrigley notes. Students transferring from other colleges are not required to meet SAT benchmarks. But the prestige has come at a cost. New-student data confirm that CUNY’s top five colleges have enrolled fewer and fewer black and Latino freshmen over the last decade. ** (A request for data on freshman admissions, reflecting where students attended high school, was denied by CUNY.) The students weren’t necessarily being bounced down into the second-tier four-year colleges, either—Lehman, John Jay, York, Staten Island, Medgar Evers, and City Tech. Those collective black and Latino enrollments fell off by 6 percent as well. CUNY officials are understandably proud of the fact that two-thirds of their senior college students receive state and federal subsidies to offset their bargain $6,000 tuition. For local students, attending CUNY also makes it easier to live at home—sometimes essential for poor families. But because of their responsibilities at home, many students who don’t get admitted to more prestigious CUNY schools end up with community colleges as their only options. Community colleges are required by state charter to accept all city public-school applicants, and enrollment has surged there since 2006. These changes have particularly affected black and Latino students. From 2004 to 2013, black community-college enrollment at CUNY increased by slightly less than 3,000 students, while Latino enrollment increased by more than 10,000 students. During the same period, Asian and white community-college enrollment also grew, though to a far lesser extent: Asian enrollment increased by about 1800 students, and white enrollment by about 600. *** Overall, the size of CUNY’s community colleges grew, largely driven by increased enrollment among Latino students. Never have more black and Latino kids in the city and throughout the nation graduated from high school and applied to college. This would be good news, except that a huge number of them end up dropping out. “Engines of Inequality,” a 2006 Education Trust study of the nation’s flagship state public colleges, reports that low-income kids who excel in high school now earn college degrees at rates below the lowest achieving rich kids. President Barack Obama hopes to help bridge this divide by making community colleges free nationwide. But graduation rates at those institutions are currently abysmal, and according to a 2012 report by the National Student Clearinghouse Research Center, only 13 percent of those who do graduate go on to earn bachelor’s degrees. One key reason, Carnevale said, is financial survival. “Every college president knows you either climb or you die,” he said. As college costs are rising, public funding is declining. “Higher education doesn’t make a profit, so the way it competes is on the basis of prestige,” said Carnevale. “The SAT is the way we keep score in higher education.” When a school can advertise that its students have a higher average SAT score, that gives a school a more “selective” reputation, which attracts more affluent students. Wealthier kids need less financial aid; they also tend to graduate more quickly. In contrast, anchoring admission to SAT scores puts low-income students at a disadvantage. Most can’t afford the test preparation or private tutoring that give more affluent kids an edge. Even when their schools offer some kind of test prep, it can be difficult for students to squeeze these extra classes into a schedule already packed with AP classes, work, and family demands. The College Board, which produces the test, has recently conceded the test’s inequities and has made some efforts to provide more free test prep to low-income students, but it remains to be seen whether the redesign, which will be available in 2016, will close the opportunity gap in any significant way. Another problem is that children who live in poverty tend to begin kindergarten at such a significant disadvantage when it comes to language skills that it’s next to impossible for them to catch up, even by high school. They often lack the vocabulary necessary to ace the SAT, even when they’re able to excel in the classroom. “The SAT is a good measure of accumulated opportunity,” said Bob Schaeffer, public education director at FairTest, an anti-testing group. Yet it may not be a good measure of how well students will perform in college: In his book Crossing the Finish Line, William Bowen reported that a student’s GPA is a far more reliable predictor than the standardized test score. Marcos Velez, son and grandson of Ecuadorean immigrants, put it succinctly in his Queens high school counselor’s office, a few weeks before graduation: “The SAT test is not an accurate measure of my true potential.” Velez graduated with a 93 average at the Academy of Careers in Television and Film. His high school record caught the eye of Syracuse University, a private research institution upstate, and it offered him a generous financial package. But his SAT score fell below the cut-off for most of the top five colleges. He was subsequently rejected from Hunter, Baruch, and Queens Colleges. “None of it makes sense to me,” he said. For all these reasons, a growing number of colleges—over 800 so far, one-third of the nation’s four-year colleges to date—are making the SAT or ACT optional for admission. A 2010 Princeton University analysis of selective colleges that dropped their reliance on standardized tests found that ethnic and racial diversity vastly improved. And at public universities, levels of academic achievement improved as well. A 2014 study released by the National Association for College Admission Counseling showed very few differences in graduation rates between schools that require standardized scores and those that do not. In New York City, however, the trend has moved in the opposite direction. The city’s eight elite public high schools also admit students based on one specialized exam—a test that white and Asian students pass at hugely disproportionate rates. This year, only 5 percent of the incoming freshmen into the elite high schools were black and only 7 percent were Latino—in a public school system where 72 percent are minorities. This fall’s freshman class at Stuyvesant High School, the city’s most exclusive option, is expected to be 3 percent black, a record low. Mayor Bill de Blasio recently announced plans to back legislation that will add more weight to other admissions criteria besides the single test. As its enrollment grew over the years, the campuses gradually abandoned this lofty mission and became the reserve of the city’s white working and middle class, even as the city’s population was growing ever more diverse. By the late 1960s, the student population at City College, in the heart of African American Harlem, was still 90 percent white. In 1961, the state legislature consolidated City and seven other campuses into the newly formed City University of New York system. The civil-rights era emboldened the city’s black and Puerto Rican students to demand equal access. CUNY then became the first public university in the nation to launch an affirmative-action program for students of color in the mid-1960s. Within a decade, CUNY’s black and Latino population doubled in the community colleges, quadrupled in the senior colleges, and roughly tripled overall. New two-year CUNY junior colleges opened to handle the surge in enrollment. Faculty devised remedial courses in math, reading, and writing to bring the unprepared up to speed in the senior colleges. Philip Kay notes in his 2013 Columbia University Ph.D. thesis “‘Guttersnipes and Eliterates’: City College in the Popular Imagination” that open admissions “ushered in an intense and radical reassessment of what a college education was for—and for whom. And it precipitated the most withering and sustained criticism that City College had ever withstood.” Around the same time, in the mid-1970s, the city was pummeled by a fiscal crisis and the state began an annual campaign of slashing funding. Nonetheless, a form of open admissions survived from 1970 to 1999, the year then-Mayor Rudolph Giuliani convened a task force that declared CUNY to be “caught in a spiral of decline.” Rather than restoring decades of budget cuts, Giuliani proposed slashing even more—an additional $40 million. His focus was instead on raising academic standards. To head the task force, he appointed former Yale President Benno Schmidt, who had most recently come from the private sector as the head of Edison, a now defunct for-profit K-12 company. Schmidt approached his task with a sea change in ideology. He felt that the priority for public colleges should be to compete with other public and private institutions, rather than to go out of their way to serve disadvantaged students who would otherwise be left behind. Matthew Goldstein was hired as chancellor soon after, with a mandate to restore the institution’s former glory by abolishing remedial classes at all seven senior colleges, first and second tiers. After that, any freshman who needed remedial coursework could only be admitted to a community college. Schmidt’s report, titled “An Institution Adrift,” made a strong case for the SAT’s reliability, and recommended that some top senior colleges adopt a 1200 score cut off, along with other measures, in order to compete. 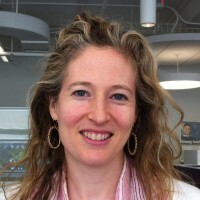 Goldstein’s ambitious admissions overhaul was defined by raising the minimum SAT bar from an average of 1008 for the top tier in 1999 to 1190 in the fall of 2013. GPAs inched up as well, but not nearly as far, nor as regularly. Supporters predicted that CUNY’s brand in the marketplace would soar. Critics predicted that the student population would eventually become imbalanced by race and class. Both predictions came true. Goldstein’s policies attracted unprecedented private donations and more students—274,000 students are now in degree-granting programs on CUNY’s two dozen campuses compared with 195,000 in 2000. Perhaps Goldstein’s most prized achievement was Macaulay Honors College, created in 2001 as a rigorous oasis of interdisciplinary learning. Macaulay’s 1,880 students receive extras such as free admission to New York City events and performances. Most significantly, the honors students pay zero tuition. Macaulay has slowly become the whitest of all the CUNY campuses. Its black enrollment fell by half between 2006 and 2012, while Asian student numbers climbed by 6 percent. In 2012 the school was 54 percent white, 33 percent Asian, 4 percent black, and 9 percent Hispanic—making it the least representative of the city’s public school graduates. It is interesting to note that while students in the Macaulay class of 2017 have about the same grade-point average (93) as the first cohort (class of 2005), average SAT scores there have shot up from 1288 to 1405. Also, only 56 percent of the students come from the city’s public high schools, a very low percentage for a system designed specifically to serve that population. The implications are far-reaching for the next generation of low-income students, who face fewer job and education opportunities than their parents did, and for the city, which could face both a brain drain and the burden of more unemployed, undereducated youth in the future. Goldstein left the chancellor’s office last year vigorously defending the freshman-admissions policies as a fair and necessary element of the institution’s success story. “It’s not where you start,” Goldstein told WNYC’s Brian Lehrer in April 2013. “It’s where you end up with a degree.” As evidence, he pointed to the rise in black and Latino graduates from the senior colleges in the last decade: Many, he noted, had transferred in after years of remediation elsewhere. CUNY officials interviewed for this story reiterated this position, asserting that large numbers of transfers have led to an increase on average in the number of black and Latino students attending CUNY’s top-tier colleges. “Access to public higher education involves more than one stream of entry,” said Michael Arena, CUNY’s director of communications and marketing. Between 2008 and 2013, the percentage of blacks and Latinos accordingly dropped at all of the top five schools—except Queens, where the percentage of blacks and Latinos effectively remained steady at 27 percent (increasing only 0.4 percentage points over five years). In fact, the decrease in enrollment was largest at the two colleges that historically have had larger combined African American and Latino populations: Brooklyn and City. In fact, four of the top five colleges are now majority white or Asian. (City is 47 percent.) Meanwhile, all of the system’s other four-year and community colleges, except for Staten Island, are majority black and Latino. Rejection from CUNY can be especially tough for the children of immigrants, often the first in their families to be in the position to go to college. Teenagers who arrive in this country as juniors can find themselves having to take the SAT before they’ve learned English. That was the case for Rehanuma Islam, a shy, willowy teenager who broke into tears when she recalled the generosity of the teachers and counselors at Central Park East High School in Manhattan who helped her apply to college. Her high AP calculus score and 94 grade-point average could not overcome her low SAT score, an anomaly her counselor said was the result of taking the test within months after she arrived from Bangladesh. “I didn’t know what they were asking,” Islam remembered, even in math, her best subject. “I was stressed so much on that.” Baruch and Hunter rejected her. It’s also common for children of new immigrants to neither be able to afford, nor imagine, moving far away from home. I can only remember images, no words or sounds … I remember my mother picking me up from my aunts’ house and taking me on long train rides. I was always with my aunts in their home, so the train felt like an adventure, seeing the outside world pass by through the windows. After the train ride, we took a bus and at the end of the bus ride, I remember entering an office, a place where they took your stuff and scanned you with a wand. When all of that was done we went to a big meeting room where my dad would appear walking up to us, and hugging my mom and me. I remember seeing him in a prison suit, talking to my mother. And that’s where I blank out. Portoviejo’s younger brother had been born with a congenital heart disorder and spent his young life in and out of hospitals. Portoviejo hid in the shadows during his elementary school years, feeling disoriented as the family drama unfolded around him. His first language was English, but he was tracked into special education and English as a Second Language classes. His baby brother died. His father was eventually deported to Ecuador. “I was left with trauma and scars from everything that happened to me,” Portoviejo wrote. Other selective colleges—Marist, Bard, Muhlenberg, Union—had offered Portoviejo generous financial aid packages. But his confidence shaken, he wouldn’t consider leaving home. At first, he tried commuting four hours round trip to Mount St. Vincent’s College in the Bronx, which he was spending about $2,000 a year out of pocket to attend. The time and expense didn’t seem worth it. The only option left for him was community college, where he is now in his second year, working hard in hopes of eventually transferring to New York University if he could afford it. NYU recently accepted him, and Baruch has also extended a transfer invitation of its own, offering him a seat in its junior class. His high school guidance counselor, Josh Steckel, believes Baruch erred by not accepting him as a freshman. “He was lucky, and also exceptional, not to have been lost,” Steckel said. One reason Portoviejo did not become overwhelmed by the overcrowded community-college system is that he was fortunate to hook into CUNY’s Accelerated Study in Associate Program (ASAP), which offers textbooks, commuting money, and one-on-one mentoring to guide its select students through the thicket of school bureaucracy and life problems. Wrigley promises ASAP will quadruple its capacity over the next three years, but for now it serves only 3 percent of CUNY’s community college students. One option for the CUNY system might be to give more weight to multiple factors in admissions decisions—a common practice at many State University of New York campuses and at many private universities. Those factors often include essays, class rank, whether they’re first in family to go to college, and extracurricular activities. Other colleges consider whether an applicant is at a disadvantage because his or her high school does a poor job of helping its students get into college. Two large state universities have gone test-optional—University of Arizona and Arizona State. The University of California uses something called “eligibility in the local context,” in which seniors in the top 9 percent of their class are guaranteed admission to their nearest four-year college. For the state’s second-tier system, the California State University schools, admission is guaranteed with a 3.0 GPA, without the SAT. Texas has meanwhile guaranteed that students who graduate in the top 10 percent of their high school class will be able to attend a state public university of his or her choice. The Texas law was passed 17 years ago with bipartisan support—when George W. Bush was governor. * An earlier version of this article led with a personal college-admissions story that we have since determined to be insufficiently relevant to the remainder of the article. An earlier correction also inaccurately portrayed the order of events that led the student to his ultimate decision about where to enroll in college. As well, our original display copy suggested that top-performing students are having trouble gaining acceptance to all CUNY schools; in fact, this story is about their difficulty in gaining entry to the top five CUNY colleges: Baruch, Queens, Brooklyn, City, and Hunter. We regret these errors. Additionally, this article originally included quotations in its introduction and conclusion, since removed in the reframing of those sections, from David Jones, the president and CEO of the nonprofit organization the Community Service Society, who is also the chairman of the board of the Nation Institute. The Nation Institute helped support research for this article, a relationship that was fully disclosed. ** These paragraphs have been corrected to clarify trends in black and Latino enrollment, rather than admissions. *** The student-enrollment numbers at CUNY community colleges have been added to clarify the overall trend in enrollment over the last decade. Note that these figures are based on enrollment at six of CUNY’s dedicated community colleges: Borough of Manhattan Community College, Bronx Community College, Hostos Community College, Kingsborough Community College, LaGuardia Community College, and Queensborough Community College. Enrollment at the Stella and Charles Guttman Community College, which was founded in the fall of 2012, was not included in these figures. **** This paragraph has been updated to clarify that students who enter CUNY community colleges have a 8 percent chance of graduating after six years, rather than over an indefinite time period. ***** This paragraph has been clarified to show the contrast between first-time freshmen enrollment rates from 2008 to 2013, as compared to transfer-student enrollment rates. This article was reported with support from the Investigative Fund at the Nation Institute.